I wake up the usual way, scowl at my phone/alarm clock and then browse the news websites. But yesterday the BBC announced the death of an internet celebrity. Usually I’d take a pass on reading such stories, but it was John Bain, Total Biscuit, Cynical Brit. A gamer reviewer that had no right in his time to become as popular as he did, but he did. 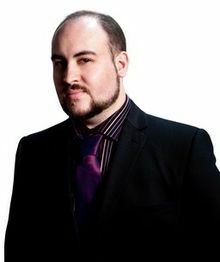 Relentlessly funny, endlessly entertaining and unquestionably blunt, Total Biscuit is the reason why many British game reviewers are in the business today. Anyone know followed the guy knew about the cancer eating away at his insides, but it almost seemed naive of us all to believe it wasn’t going to do him in. He was 33, strong willed and strangely likeable for a many who calls himself cynical. But it did. Up until the very end he was playing games talking podcasts, sharing dogs, he basically lived the dream through hard work, loyal support and being brave enough to venture into a field most of us thought would fade away like Pogs (Something Microsoft Word insists isn’t in the dictionary). There isn’t much anyone can say that hasn’t already been said by now. I just wanted to say I’m going to miss Total Biscuit, he is one of the reasons I wanted to write reviews when I started and I can never thank him enough for that. See you on the next level John.